Enriched with Shiseido Laboratories exclusive blend of silicone emulsions to replenish moisture and key amino acids that promote healthy hair. 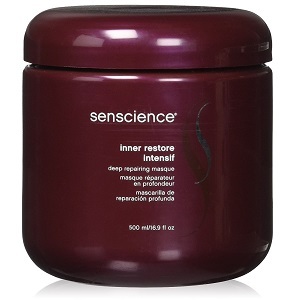 Polymeric conditioners and humectants provide exceptional slip to hair while balancing hair's moisture level. Shampoo hair. Squeeze out excess moisture. Scoop desired amount into palm of hand and apply evenly. Leave on 2-5 minutes. Rinse thoroughly. Style. Water, Butylene Glycol, Dimethicone, Sorbitol, Behenyl Alcohol, Behentrimonium Chloride, Stearyl Alcohol, Cetyl Alcohol, Hydrolyzed Keratin, Hydrolyzed Silk, Hydrolyzed Vegetable Protein, Hypnea Musciformis Extract, Glycine Soja (Soybean) Seed Extract, Silk Amino Acids, Silybum Marianum Extract, Glycerin, Glyceryl Oleate, Lecithin, Octyldodecanol, PEG-6 Methyl Ether Dimethicone, PEG-90M, Phenoxyethanol, Retinyl Palmitate, Aminopropyl Dimethicone, Trehalose, Arginine, Ascorbic Acid, Ceteareth-25, Glutamic Acid, Propylene Glycol, Sucrose, Steartrimonium Chloride, Stearyl Dihydroxypropyldimonium Oligosaccharides, Isopropyl Alcohol, Tetrasodium EDTA, DMDM Hydantoin, Iodopropynyl Butylcarbanate, Linalool, Fragrance.